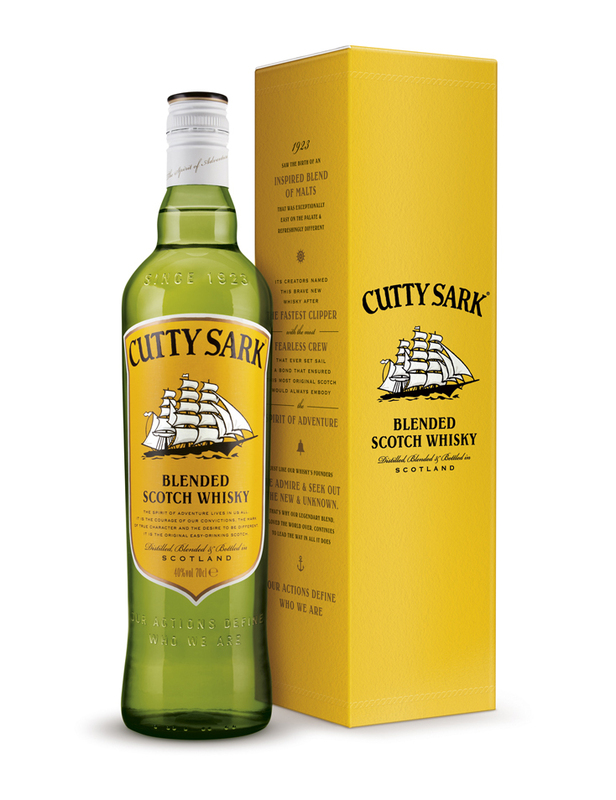 “Designers at Pearlfisher worked closely with the Cutty Sark Global Brand Team assessing all aspects of the old branding, focusing on the key points of difference: the Clipper, the yellow and the Cutty Sark typestyle. The original Clipper ship, drawn in 1923 and updated only once in the last 88 years has now been revised. The team took the opportunity to enhance the icon, putting more momentum and dynamism into the Clipper, effectively putting some wind back into the brand sails. It was vital, however, to maintain the brand’s identity which evokes thoughts of ‘adventure’ and ‘excitement’ amongst the global consumer audience. The bold yellow colour has been brought back onto the larger front label creating a higher degree of visibility. It echoes the classic Cutty imagery of the mid 1960’s and 1970’s. The green glass has been retained but has been premiumised with key brand messages embossed onto the bottle. I feel like all scotch packaging looks way to similar. I think most scotch drinkers find out what they like quickly and stay true to their brand So does branding and packaging in the scotch industry matter all that much??? Since the whole layout relies on this iconic illustration it’s a good thing the revisions are spot on. Love the yellow, appears lively, dynamic and should contrast well against the darker tones of other scotch whiskeys.